OK..so we all thought we would never embrace the trend for leggings when they came in (reappeared!) a few years ago…but now we wouldn’t be without them. But what about this latest trend for Christmas sweaters? Really?! Bringing back images of Colin Firth in his Reindeer turtleneck in Bridget Jones’ Diary and dodgy family sweater sets – they are surely a travesty. Now if this is all happening in the name of fashion – I wash my hands and distance myself as far away as the North Pole to have nothing to do with them. However…it may just be that people aren’t just blind fashion-enslaved sheep. Perhaps they are being far more magnanimous, looking to a cause beyond themselves – willing to bear the shame of the most hideous Christmas jumper for the sake of charity. Save the Children launched a social media campaign this week called #whereswoolly to run until December 14th when it will be Christmas Jumper Day #xmasjumperday. 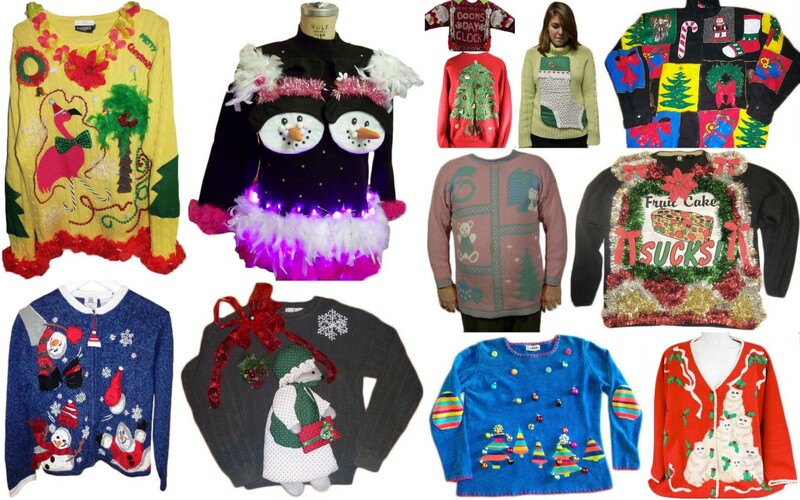 Lots of people will wear their hideous Christmas sweaters to fund raise, either solo or as part of an organised fundraiser. 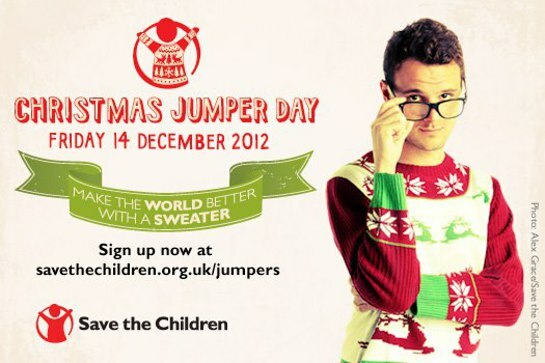 But don’t panic… if you can’t wait until 14th December :-), Save the Children are encouraging people to take photos of themselves wearing their crazy jumpers and facebook/tweet the photo with the hashtag #whereswoolly – the crazier the location, the better! So..if you’re going to partake in this trend, for the sake of charity ONLY….you could take this quiz to find out what to go for Which Christmas Jumper are you? Or here are a few choice morsels for you to feast your eyes on in what is becoming more and more a season of good cheer and …sartorial madness. Raid your attics for these fashionable festive garments or if you’re contemplating splashing out (all in the name of charity of course) then here’s FrockChicks’ Guide to The Better Christmas Sweater! For the deep dark types…. This entry was posted in News and tagged #whereswoolly, #xmasjumperday, Christmas fashion, Christmas jumper, Christmas sweaters, Christmas trends, colin firth christmas sweater, topshop robin jumper, ugly jumper. Bookmark the permalink.